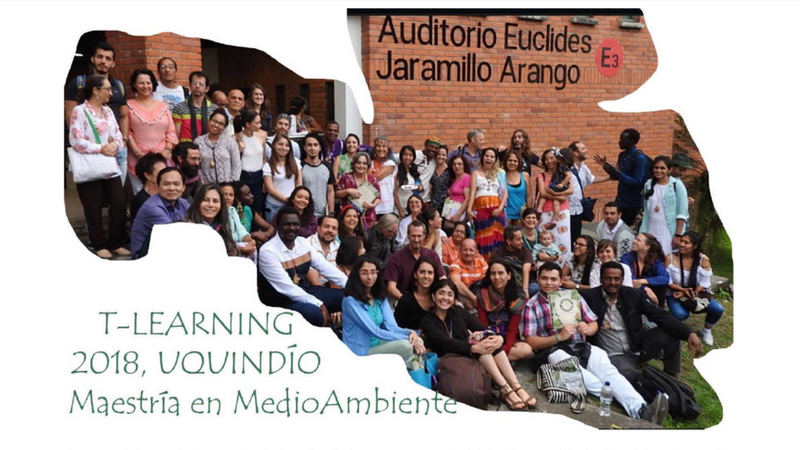 The Master of Environment Studies at the University of Quindío, held on June 9 and 10 of this year, the 1st International T-learning Learning Congress in Times of Climate Change, an event of international dimension that brought together 9 nations from 4 continents – Colombia, Sweden, Vietnam, India, Malawi, South Africa, Ethiopia, Holland and Zimbabwe – in response to the emerging challenges of Climate Change and the urgent need to address them in innovative ways. 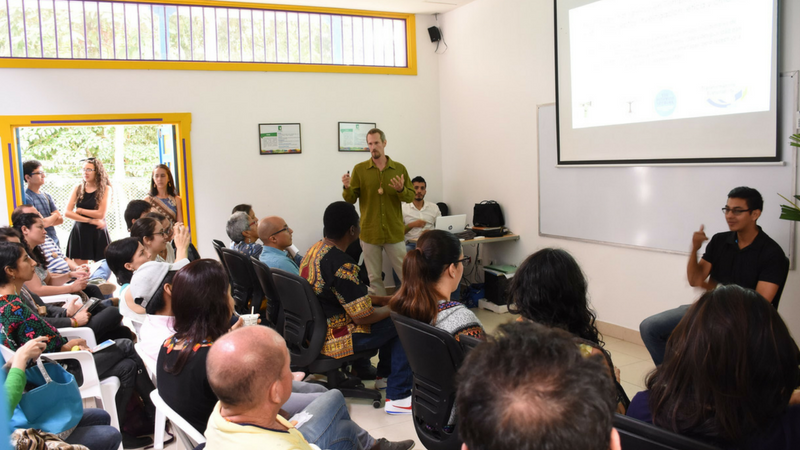 The academic and social meeting, held at the Botanical Gardens and in the Bernardo Ramírez Granada auditorium, was sponsored and financed by the International Science Council, led and organized by the University of Quindío and the organisation Mentes en Transición, and engaged fundamentally with the various problems situated around the phenomenon of climate change that currently affects the environment in different ways. T-learning becomes a regenerative and inclusive learning that transgresses unsustainable habits, both personal and institutional, generating agents of change for the transformations that we require. María del Pilar Sepúlveda Nieto, director of the Master in Environmental studies, highlighted the importance of the congress as it allows us to face in a collaborative way, with academics from 4 continents, all the tensions and processes of global deterioration that are happening as a result of climate change. 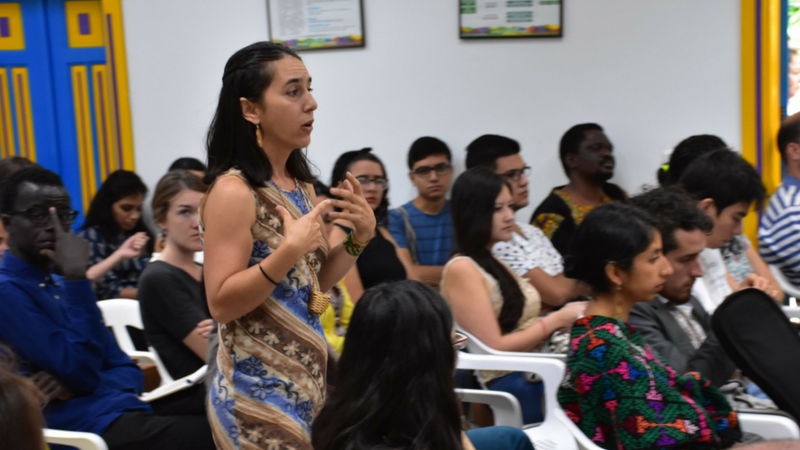 Miss Pilar Sepúlveda added that “it is transcendental that our University is leading processes of this type, establishing networks and links with higher educational institutions in other countries. The fact that we as an institution are already generating responses from the academic environment to processes as critical as climate change and the deterioration of biodiversity, places us as pioneers since it is the first congress to be held and the idea is to continue establishing links and processes of cooperation to generate dynamics of articulation with the communities and academics around these environmental problems”. The T-learning Congress covered three fundamental aspects to which make up its argument. It is considered Transformative to understand psychosocial processes of transformation of the cognitive and emotional perspective that lead to socio-ecological change and the affirmation of life; Transgressive because it intentionally generates critical thinking, collective agency, capacity for action and changes in habits while explicitly challenging the normalized systems that have become oppressive; and Transdisciplinary because it crosses borders to create and affirm knowledge in interactive and collaborative ways that contribute to changes in action and practice. Co-organiser PhD Martha Chaves presenting Colombian case study of the T-Learning project. “This is precisely what we sought with the realization of this event, we have 9 cases around the world in the 4 continents, where researchers are sharing efforts to see what is being done and how to contribute, but from a perspective of researchers connected to action, the territory, the people who are suffering, who are acting and who are looking for solutions,” continued Miss Chaves. In her view, this event should be seen as a seed that can be spread throughout the world, inspiring moments of dialogue between cultures, experiences, territories, between everything that each person brings from their being and from their own contexts.  Numerous organizations were fundamental to the the realization of this congress including the following: Institutions of higher education such as the University of Rhodes in South Africa, the University of Wageningen in the Netherlands, the University of Upsala in Sweden; as well as grassroots organizations in India, Vietnam, UNESCO, and the Colombian Association of Biological Sciences. A strong focus has been on forming bridges between academic and grassroot realities, exploring and proposing what can be done to achieve change together. As Miss Chaves continued: “only when there is real diversity, a plurality where we are all equitable and nobody knows more than the other, when we are humbly exchanging experiences and knowledge, is when innovation really occurs”. 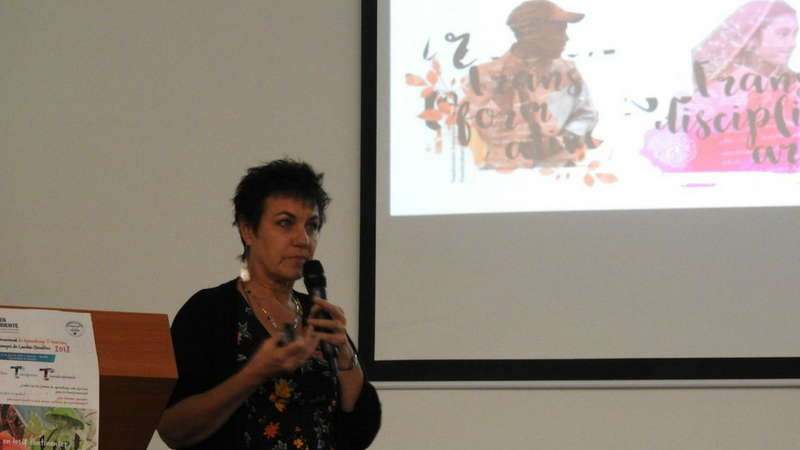 Professor Lotz-Sisitka showed her enthusiasm in visiting Colombia for the first time and being able to see how the projects from each case study are in the final stages of the program, to see what can be done in the future with this group so nourished by international experiences gathered in this special gathering. 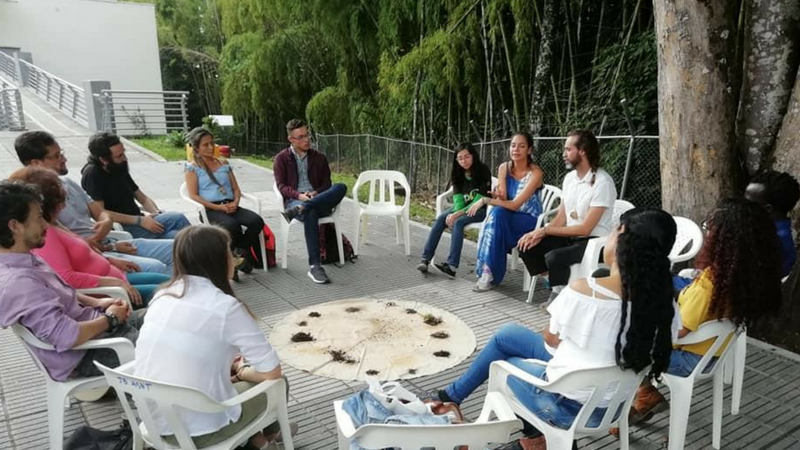 “I love being close to the forest here at the University of Quindío, you can feel that force of change, how that environmental part is so connected to the community and incorporates the spiritual,” declared the South African. During the opening of the event, there was a space for ancestral pedagogy, where through a ritual, a connection with Mother Earth was opened, going beyond seeing transformation as ecological, environmental, and understanding it as a deeper process, a connection with the spiritual. 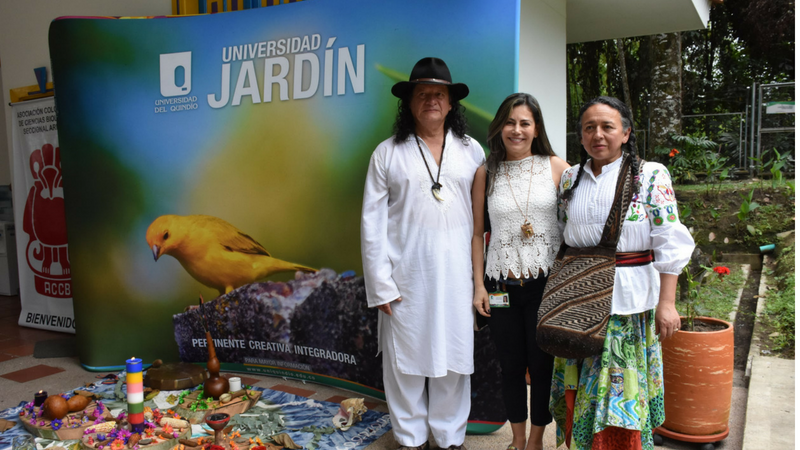 Bahamar Rivera Marín (Left) with Deyanira de Rivera (right), with Pilar Sepulveda Nieto (middle) director of the Master in Environmental Studies at the University of Quindio.